This online course isn't just about living with less, it's about creating the life you want. Release the past and step into the life you want to be living. 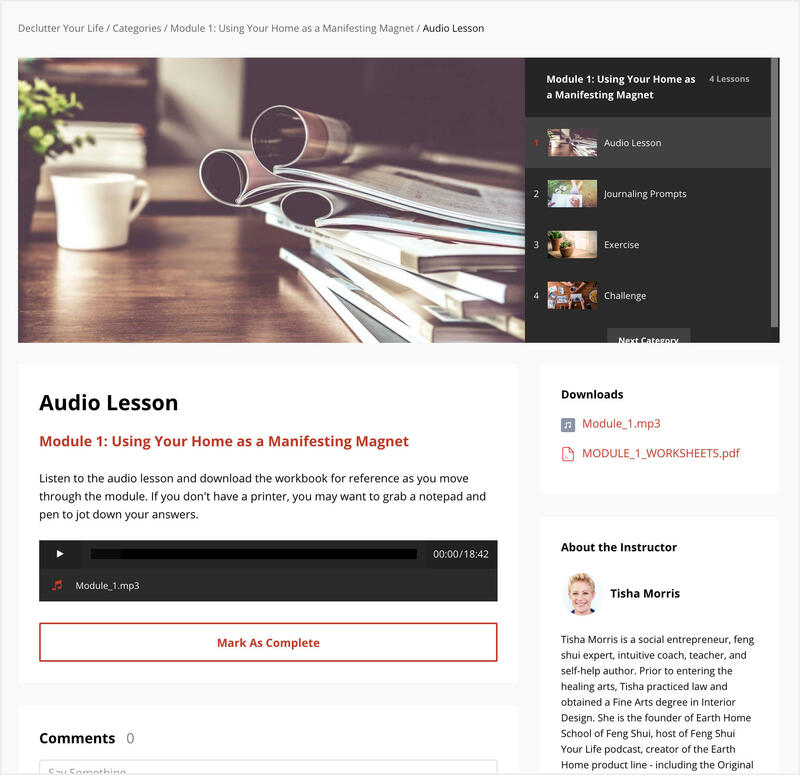 Once you sign up, you'll receive an email to immediately access this course via phone, tablet, or desktop. You can begin at any time and move through the course at your own pace, repeating any modules as many times as you wish. 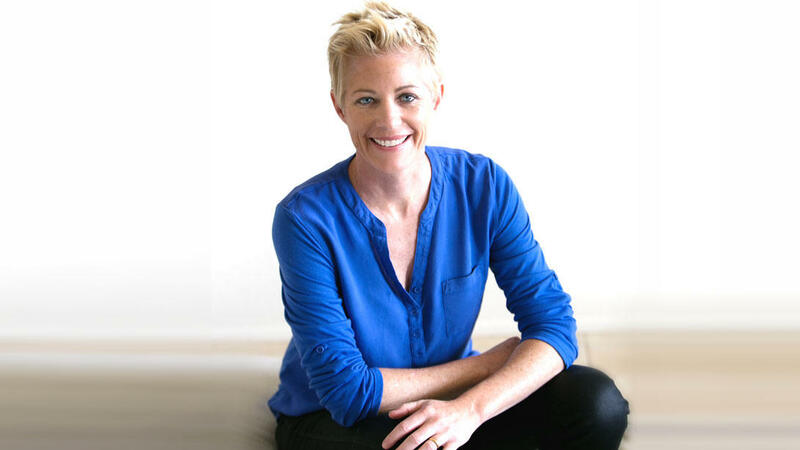 "Not only is Tisha a warm and generous instructor, she has a gift for turning ancient wisdoms into easily accessible actions for transforming your life." Understand the interrelationship of your energy with your home’s energy. Approach decluttering from the perspective of manifesting what you want in your life rather than a chore or a to-do list. Identity areas in your home that are keeping you stuck in certain areas of your life. Release past relationships and situations that are no longer relevant to your current life. Identify your clutter archetype and what do about it. Lesson 2: Releasing Past identities in relationships, careers, and past associations. Regardless of having a small or large amount of clutter, this course is for anyone who is ready for change in their life. Anyone who is in a transition phase of life between the old and the new. Anyone who feels stuck in their life and needs clarity moving forward. Those who need guidance in making their home space a priority. Those who want a deeper and more meaningful approach to decluttering. Anyone who has tried decluttering in the past, but couldn’t maintain it. 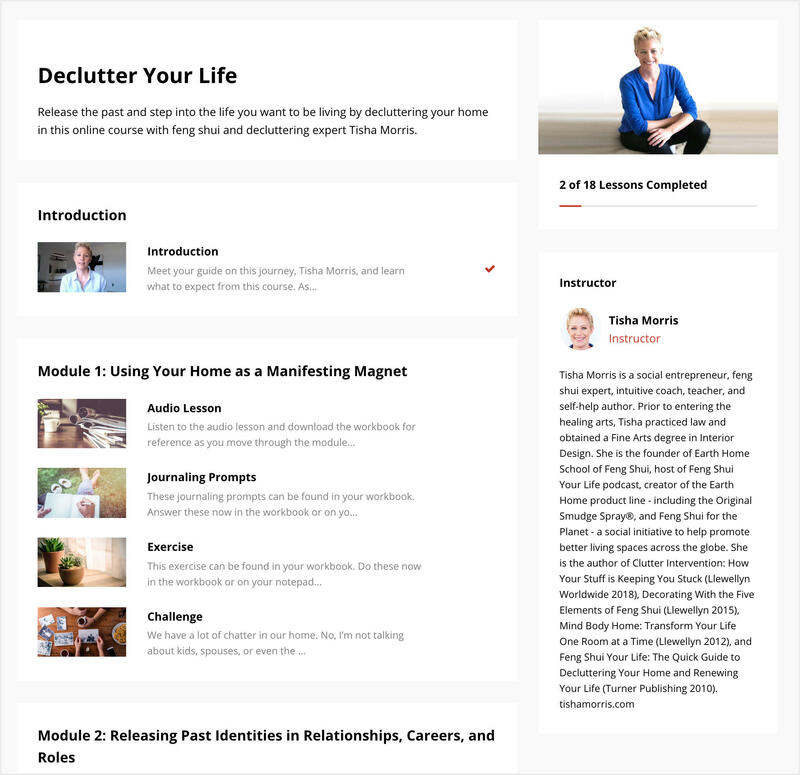 Enter your details below and get the first lesson of "Declutter Your Life" FREE. "Tisha is patient and balanced in her approach to unlocking the real reasons we hold on to things, and offers advice--both tangible and metaphysical--to unclogging blockages. She's also kind, encouraging, humorous and smart, and allows each individual to go at her own level.” "
"I have about 6 books on the subject and have previously put many of the ideas into practice already. The thing about your program is you added information I had not heard of before." "Not only is Tisha a warm and generous instructor, she has a gift for turning ancient wisdoms into easily accessible actions for transforming your life"
"Thank you so much for your help, it has been extremely beneficial! You have helped me tackle projects and tasks that I've been needing to get done for a while now and it feels good!” "
"I want to thank you for everything you taught us in your workshop. There is a new sense of clarity. I am becoming more conscious, able to detach, and stay present. I am using my attention/intentions to shape my life and receiving guidance during stillness and feeling the entirety of my being. I have always thought that peace was possible, and you've helped me to find it. I feel so blessed. Thanks again.” "
"Tisha is a truly gifted resource for any homeowner or professional looking to de-clutter their space. Tisha’s intuitive and relaxed style was a great fit for me and I was left feeling excited about reclaiming my personal space and letting go of things that were draining my energy and cluttering my home.” "
Start enjoying this course at your own pace and in your own space. Enter your email address below to create your Spirituality & Health Courses account and get access to every course in our library for one low price.